Sedona Road - 2013-151, originally uploaded by Judi FitzPatrick Studio. 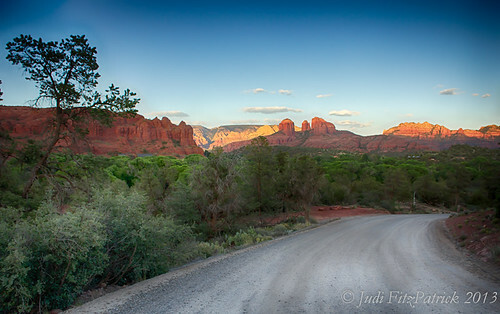 Taken at a stop along a loop road in Sedona, AZ, just before sunset. This 3 Image HDR was processed today, although captured on Mother's Day.